Guntur has stood first in swatchh rankings in Andhra Pradesh. Swatchh Bharat Mission under "Quality Council of India" has done this survey. The survey is done in 476 towns all over India, in which 28 are from Andhra Pradesh. 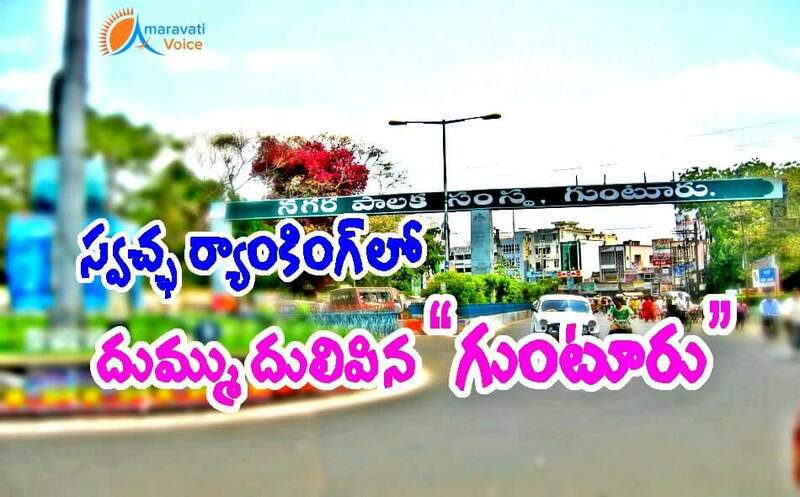 Guntur has secured the first place in the rankings, followed by Narasaropet in second rank and Tenali in the third rank. Machilipatnam from Krishna District stood in 15th rank and Gudivada in 18th rank. The survey has taken 19 parameters to given the rankings. Every parameter has marks out of total 100. The survey would be conducted again in October 2016.